The Tiatip is a layered cocktail with just two ingredients: Tia Maria and Baileys, in equal parts. This cocktail looks so elegant, with its layered of black and cream. Don’t be intimidated by the “layered” part. You can pour this drink more easily than you might think. Just be sure to use a pourer on your Baileys bottle, and to pour slowly against the edge of the glass. Unlike drinks that have three layers, this one falls into place easily. 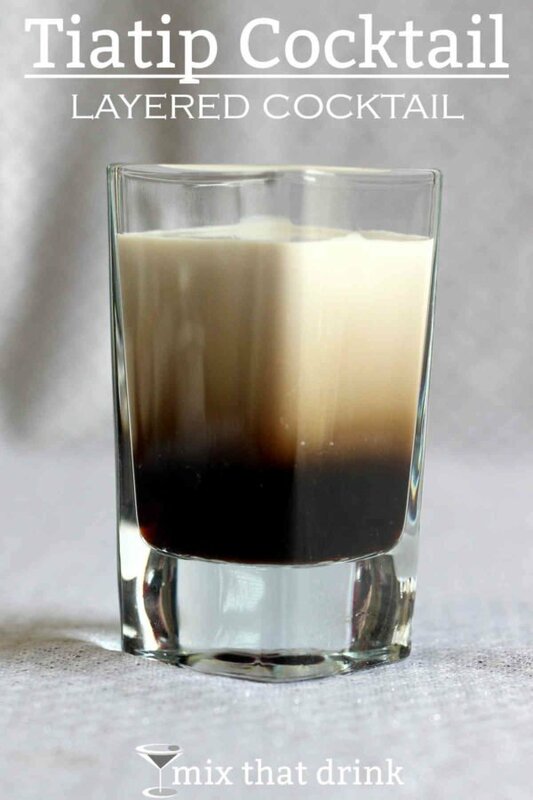 And if you don’t get the layered perfectly even, it’ll still look really cool – like the way most bartenders pour a White Russian, with the cream landing randomly on top of the Kahlua. I recommend you chill both ingredients before pouring. Not only does that bring out more flavor in the drink, but it also makes the layering work more easily. If you prefer your drinks cold anyway, you can also chill the glass in the freezer before pouring. In fact, this is a great drink for parties because you can pour them ahead of time and leave them on a tray in the fridge until guests are ready for them. This is a sweet little shot that deserves to be savored, not chugged. It tastes like sweetened coffee and cream with just a little Irish whiskey thrown into the mix. Try this one the next time you’re in the mood for something like a B-52, only a little less sweet. Check out my quick one-minute video about how to layer drinks using the back of a spoon. Or check out my full tutorial here. The Tiatip is a very simple cocktail with just two ingredients. It's one of the easiest layered cocktails to make, too. And it's absolutely delicious, with a taste like a sweet mocha coffee. Carefully layer the Bailey's on top of the Tia Maria in a shot glass. Optional: chill both ingredients first. 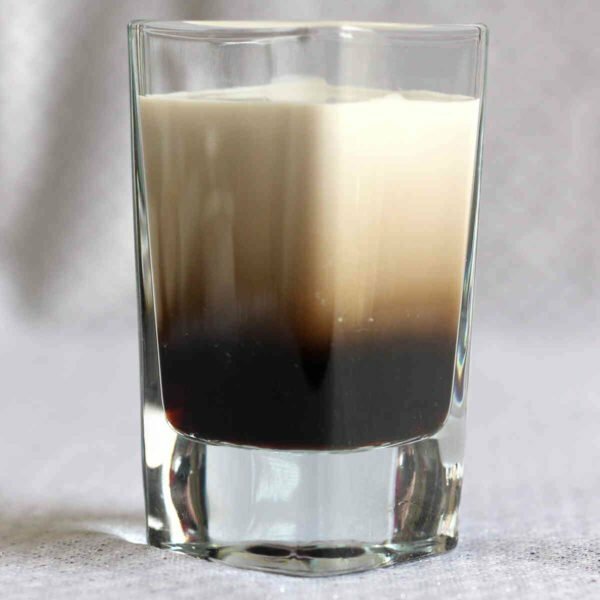 In ireland we call this a baby guinness.. The ratios are a little different. 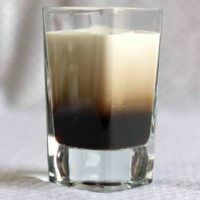 This one is equal parts, while the Baby Guinness uses half as much Irish cream as coffee liqueur.